A ceremony commemorating the actions of a Norwegian commando group known as Kompani Linge was recently held in Scotland. Upon completion of training the Norwegians parachuted into Norway and prepared for and executed their difficult mission – known by some as Operation Gunnerside. 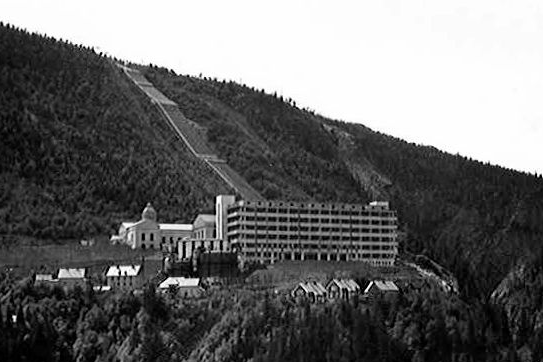 The heavy water plant was later rebuilt and destroyed again by US bombers later in the war. There is a visitor center at Glenmore that is dedicated to the Norwegian unit and their mission. “Scottish tribute to soldiers who foiled Nazis’ A-bomb”, BBC News, November 11, 2016. “Norwegian heavy water sabotage”, Wikipedia.